Quickest...Simplest Pumpkin Pillow Ever. From Scratch! | A Vision to Remember All Things Handmade Blog: Quickest...Simplest Pumpkin Pillow Ever. From Scratch! 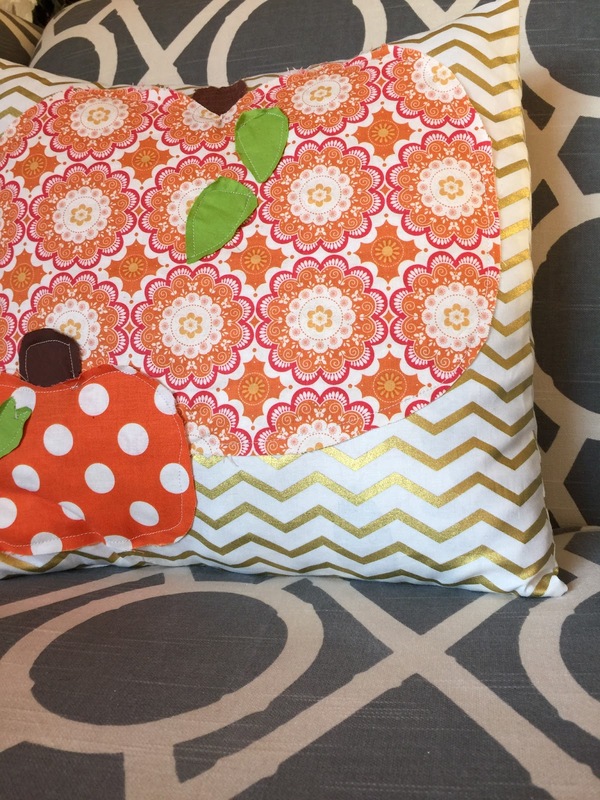 Quickest...Simplest Pumpkin Pillow Ever. From Scratch! It is so dark and dreary here. It has been so bright and warm and cheerful here that I have almost forgotten that Winter is coming. But sadly, that was just a dream. Now the rain is here and I needed something bright to warm up my living room. So this is what I made to chase the blues away. This pillow took me 20 minutes flat. I free hand cut out all of the applique pieces. Simple. Imperfect. Its how I roll. 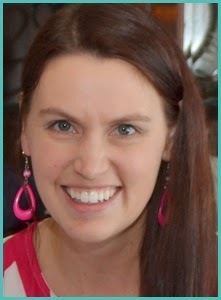 Thankfully FMQ and Raw Edge Applique are in so I am soooo In Style without even trying. JK. But I have noticed that this style is coming in....hard. And I love it. Its what I've done for several years, so I can't be happier! For the pumpkin pieces using scrap pieces you have lying around begging to be used will be great, or some fat quarters will work too. 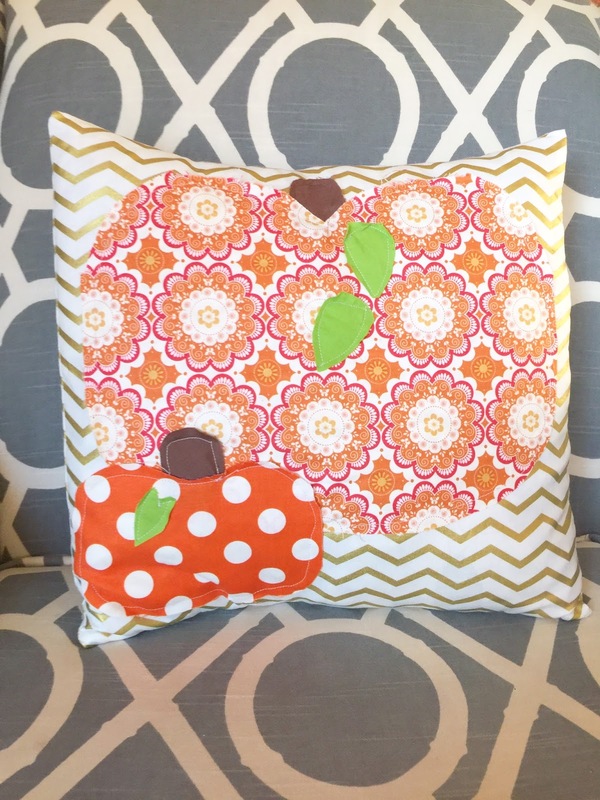 Pumpkin Pillow How To Video on You Tube! This is my first video on Youtube. It is sooooo scary to do this. I would love to have your support and watch it. Plus, you might learn something new! 4. 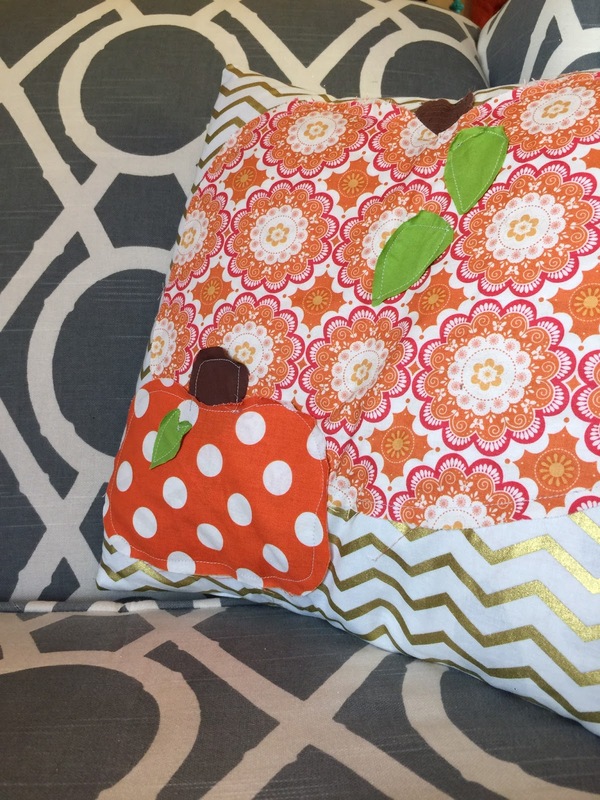 Place the envelope pieces on your pumpkin piece and sew together. 5. Turn right sides out and stuff your pillow in! See....Super Simple. Thats what I like!